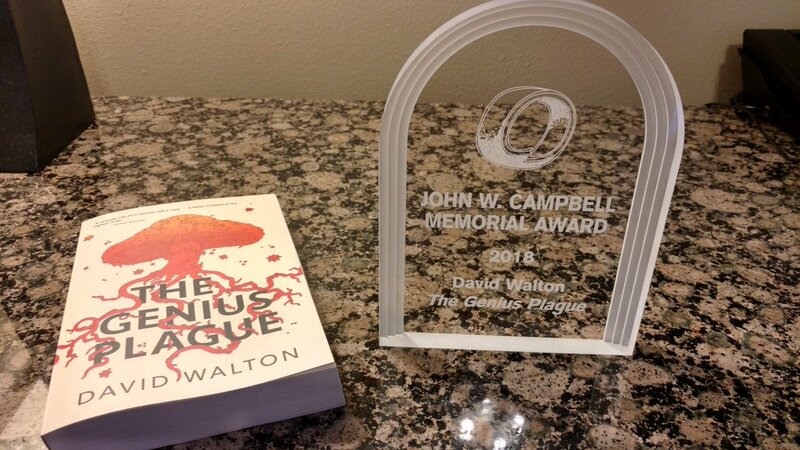 David Walton’s The Genius Plague has won this year’s John W. Campbell Memorial Award for best science fiction novel. The honor was presented during the Campbell Conference Award Banquet on June 22. 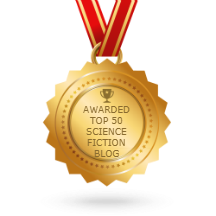 Harry Harrison and Brian Aldiss established the award to honor the late editor of Astounding Science Fiction magazine (now Analog), and continue his efforts to encourage writers to produce their best work. Many consider Campbell – who edited the magazine and guided its authors from 1937 until his death in 1971 – the father of modern SF. 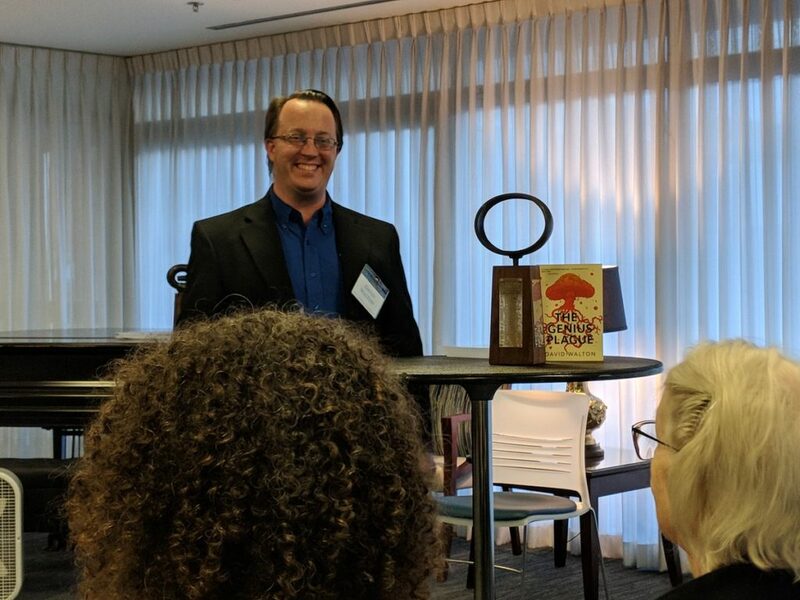 The winner was selected by Campbell Award jury members Gregory Benford, Sheila Finch, Elizabeth Anne Hull, Paul Kincaid (since 2008), Christopher McKitterick (since 2002; Chair beginning in 2018), Pamela Sargent (since 1997), and Lisa Yaszek (since 2016).